Taken on March 29th, 2017 in Broward County, Florida #XFREE !! EMPIRE’s Founder and CEO Ghazi Shami has confirmed that 19 year-old South Florida Independent Rapper/Songwriter XXXTentacion has been released from Paul Rein Detention Facility on probation. The triumphant news echoes worldwide as his chart-topping debut single, “Look At Me!,” hits 150 million streams and breaks through Billboard's Hot 100 chart, currently positioned at #66. Get the single HERE. What’s more, XXXTentacion (pronounced Eks-Eks-Eks-Ten-Tah-See-Ohn) has announced a unique partnership with American distribution company and record label, EMPIRE. He joins an illustrious family that includes the likes of Anderson .Paak, Fat Joe, D.R.A.M., Lloyd, and many more. "From Kendrick Lamar to The Migos, to D.R.A.M. and Anderson .Paak, we pride ourselves in working with gifted artists early on in their career. 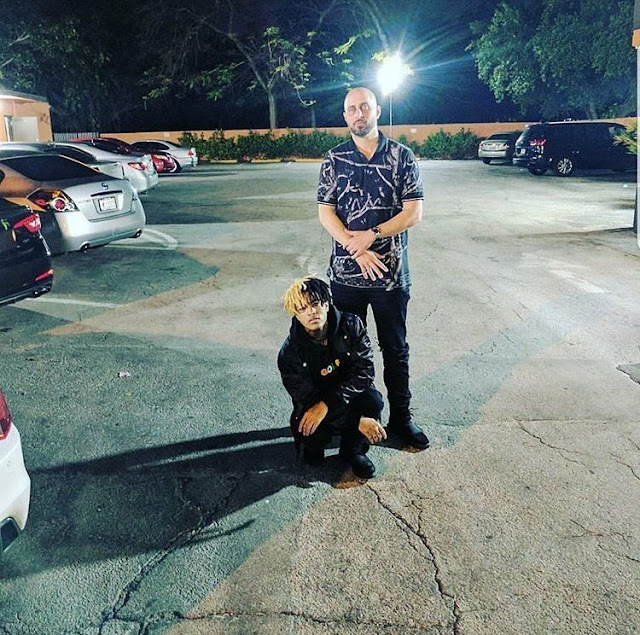 XXXTentacion is a unique talent and we're excited to be in partnership with him, helping him bring his vision to life," said Ghazi Shami. Following a string of steady viral hits such as “Kill Me” and “YuNg BrAtZ,” “Look At Me!” has exploded from an underground anthem into a Billboard Hot 100 mainstay. In less than six months, the track has amassed over 150 million streams and is featured on top playlists including Apple, Spotify, Pandora and more. Along the way, XXXTentacion received the endorsement of everyone from Lil Yachty and Erykah Badu to Lil Uzi Vert and A$AP Rocky who proclaimed him, “The hardest in Florida” on social media. Moreover, he’s engendered the passion of a massive cult following spanning an audience of 441K on Soundcloud and 309K followers on Instagram. That’s just the beginning though. Spewing raw rage and a powerful primal scream, “Look At Me!” illuminates his inimitable style steeped in a furious hip-hop cadence, alternative mystique, and heavy metal aggression. Collaborative projects such as Members Only Vol. 1 and Members Only Vol. 2 with Ski Mask “The Slump God” in 2015 and last year’s Willy Wonka Was a Child Murderer EP instigated rabid fan chatter online. Showcasing various styles from a screech to a croon over lo-fi beats, XXXTentacion cooks up a hybrid of rap, R&B, punk rock, and metal. It’s a singular sound that’s already garnered the attention of Pitchfork, XXL, _HotNewHipHop__, and more. It’s simply XXXTentacion, and rap music might never be the same.